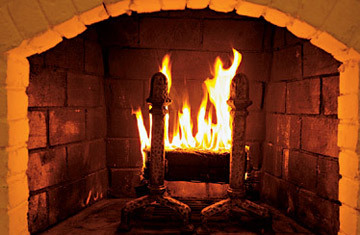 There's nothing like a crackling fire made from good old-fashioned firewood. But real logs produce lots of soot and carbon dioxide, and real trees often have to be felled to make them. Enter the Java Log. Made from used coffee grounds, it boasts a higher heat density than real wood, so it can burn hotter and last longer. When TIME compared the Java Log to a Duraflame (a log made of sawdust and wax), the Java Log ignited more quickly and produced taller, prettier flames. But does it make your house smell like a Starbucks store? Not to our nose.